You know the feeling: you arrive at work, sit yourself down at your desk and settle in for another day. But somehow, you just can't find the energy to get stuck in. It’s not that you don’t enjoy your job; you’ve just never been much of a morning person, unable to fully function until you’ve had a few strong coffees or perhaps done a bit of web-surfing. All of that lost time can really start to add up after a while, though, resulting in hectic afternoons and hours of overtime as you struggle to get through the day's jobs. Today on the RotaCloud Small Business Success Blog, we’re discussing just that. Join us as we share our top tips for supercharging your mornings and reclaiming those lost hours! Ready for more productive mornings? Let's hop in! We’re not going to spend too much time talking about sleeping habits here since there’s already a wealth of information available on the subject. One thing we have to touch upon, however, is snoozing. Put simply, mashing that “snooze” button every morning is one of worst ways to set yourself up for the day. We often think of snoozing as "topping up" our sleep, giving ourselves an extra few minutes to wake up gradually. Studies would suggest, however, that repeatedly waking from a deep sleep (as we do each time we reach for that snooze button) actually causes increased levels of drowsiness and in some cases even feelings of nausea. 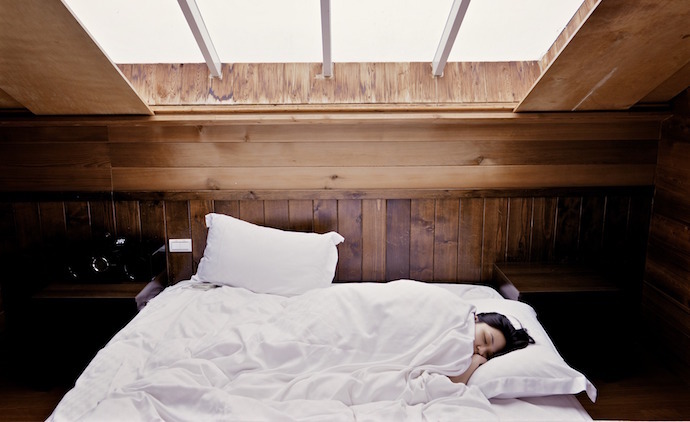 In short, your snoozing is making you feel worse, not better. So ban that button and make a habit of getting up with your first alarm (putting your phone or clock on the opposite side of the room helps). You’ll begin your day feeling more alert, plus you’ll have extra time to get yourself ready for work. A great way to make your mornings more productive is to plan them out the day before. Keep a pen and paper (or digital alternative) handy throughout your day and note down any tasks that you'll need to take care of the next morning. As you're winding down for the day, browse this list and put the items in order of importance and/or unpleasantness (more on that in a moment!). There will inevitably be times when you'll have to abandon your to-do list due to unforeseen circumstances, but planning your morning in advance will help you to mentally draw a line under your day and enable you to completely unplug from work when you get home. You'll also be less likely to forget about those little jobs that need doing and will be able to hit the ground running the next day, without the need to gather your thoughts. We normally try to steer clear of irksome business buzzwords, but the term “eat the frog” is quite fitting for a discussion about boosting morning productivity. Attributed to everyone from Mark Twain to Émile Zola, the phrase refers to doing something unpleasant early on so you can be confident that whatever follows will be much less repugnant. Whether it’s a tax return, responding to a negative customer review, or having a difficult conversation with a colleague or business partner, we tend to put off the jobs that appear daunting or laborious. By doing so, however, all we’re really doing is increasing our own anxiety levels as we go about our day trying to ignore the nagging feeling that we still have something deeply unpleasant to take care of. So instead of busying yourself with those other, less-important tasks, make a habit of getting the difficult jobs out of the way first thing in the morning. Not only will you be able to revel in that smug feeling that comes as a result, but you’ll also be happier and more productive for the remainder of your day. We’d all like to start our day with a jog along a California beachfront followed by a superfood smoothie or a cup of artisan coffee. In reality, however, most of us have slightly more pressing issues to contend with. When you’ve got kids to get ready for school, traffic to battle or trains to catch, starting your day with a five-mile run isn’t an option. We all know the physical and mental health benefits of exercise, but making it a part of our daily routine can be tough. Thankfully, there are numerous ways to inject a little kinetic energy into your morning — and none of them require a treadmill. Cycle or walk to work rather than driving. If cycling isn’t an option, then take a bus or the tube and get off a stop or two early and walk the rest of the way. If taking public transport won't work for you, then park further away from the office and power-walk your way in to get the blood pumping. There are plenty of other ways to sneak some exercise into your mornings besides your commute. 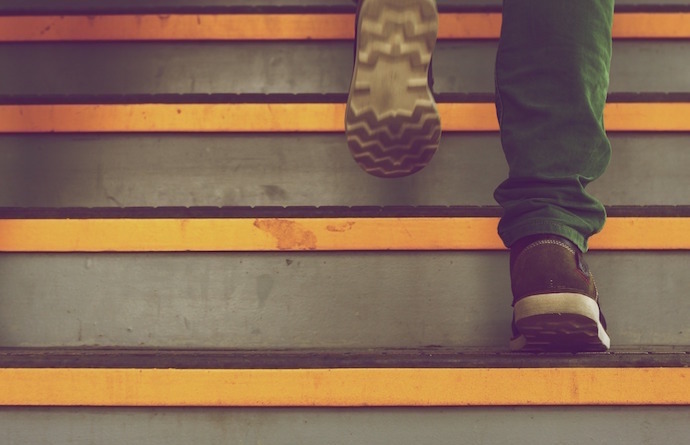 When you arrive at work, get out of the habit of taking the lift instead of the stairs. If it’s an option, get a sit-stand desk and break your day up with 20–30 minute stints on your feet. Hold your morning meetings standing rather than with everyone seated to keep the energy up and ideas flowing. Get moving in the morning and you'll wake up in a fraction of the time! If you want to feel inspired from the moment you arrive at work, then you need to make your workplace a legitimately nice place to be. Spend some time thinking about the layout and decor of your office. Does everyone have enough space to work and a degree of privacy? Is there enough natural light? Do you and your team have comfortable chairs and modern, uncluttered desks to work at? You might be limited by its size and dimensions, but making your office a more pleasant place to be needn't cost the earth. Get some plants to brighten the place up and improve air quality. Paint your walls with soft, light colours to lift people's spirits. Fit a proper kitchen where you and your team can do more than just microwave soup and leftovers. Build a break-out area where people can relax and let off steam. A comfortable, uniquely-designed office space will help everyone in the office be at their most productive, while also helping you and your colleagues develop a rapport and form strong teams. As wonderful as social media can be, it’s also an incredibly needy beast, constantly clamouring for our attention and distracting us with shiny new videos, news updates and GIFs of dancing kitties. For those who work primarily online or in marketing, keeping a close on your social networks is an important part of your day. For anyone else, however, Facebook and its ilk should be kept at bay until break time to avoid distractions. If you really must get your Facebook fix or indulge in Instagram in the mornings, then try to get it done before switching to work mode. Once you're at your desk, put your phone in a drawer and leave it there until you've worked through your to-do list. Close any social media tabs in your web browser so that you're not tempted to respond to any chat or news notifications blinking away in the corner of your eye. If your work requires you to keep tabs on your company's social media activity (and it's not your sole responsibility as a social media manager), meanwhile, try to deal with your notifications in blocks rather than one at a time, setting aside a few minutes every half hour or so. That way your train of thought won't be interrupted while you're working on other projects. It can be tempting to spend the first half hour of your day catching up with coworkers and sharing amusing things on your company's group chat. As fun as this, it's also hugely damaging to productivity and only ensures that you — and the rest of your team — set off at a leisurely rather than brisk pace. There's no need to become to office Grumpus by blanking everyone until 11am, but it's a good idea to get into the habit of limiting your smalltalk in the mornings. Instead, make the first hour of your day your "power hour" and focus on working without breaks or interruptions. You could even pop on a pair of headphones and listen to music to focus your mind and signal to others that you do not want to be disturbed. Important conversations will of course still have to be had, but everything else should be pushed back until your mid-morning coffee break at the earliest. You'll enjoy your caffeinated reward a whole lot more when you know that you've already blazed through a handful of the things you had to do. Mornings can be a real challenge for some of us, but with a little bit of planning and determination they can actually become the best part of the day. The real secret to making a positive change and clawing back your workday mornings, however, is in making all of this routine. It might take a few weeks, or even months, before your new, productive behaviours become so ingrained that you perform them almost without thinking, but the only way to ensure that you don't slip back into your old ways — and to see the long-term benefits — is to stick at it even when you're just not in the mood. Start today, not tomorrow, and make the changes required to reclaim all that lost time. It could be the final nudge your business needs to make it a success. Friday Face-Off: Daily Stand-Up Meetings: Useful or Useless?